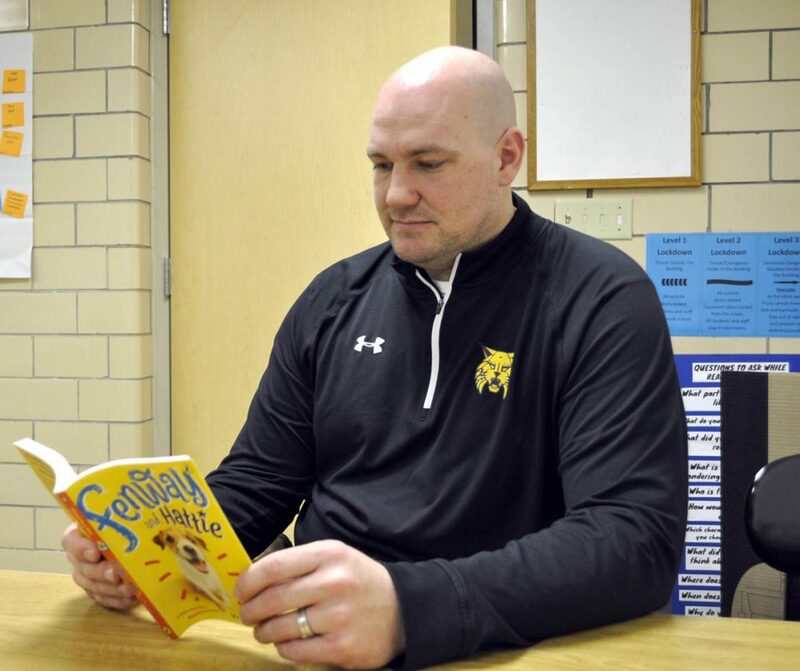 — Daily Freeman Journal photo by Joe Sutter Andy Brim, Sunset Heights Elementary instructional coach, catches up on some reading recently with the book "Fenway and Hattie." All students from second through fourth grade at the school will be reading the book at the same time, as will all the teachers and staff. A new plan will soon get all the kids at Sunset Heights Elementary reading together. The whole school will be reading the same book at the same time, through the One School, One Book program, when students return from spring break on March 25. Not only is this a chance for students and their parents to connect, once they come to school they’ll answer questions, have discussions, and solve trivia about the passage they read that night. 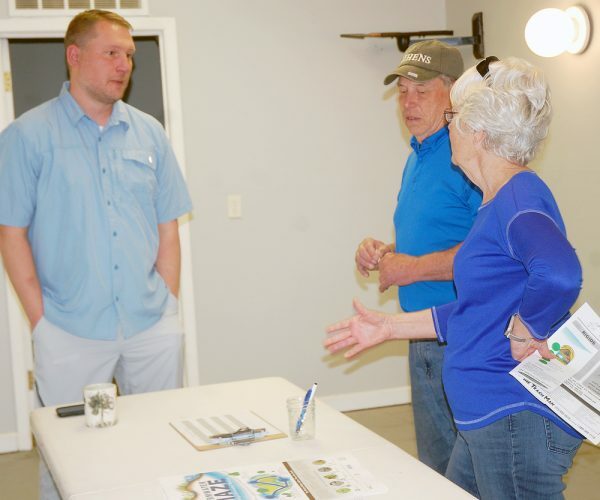 The book, “Fenway and Hattie,” is a story told by a little dog, whose human is a young girl from the city who moves to a rural area, and the adventures they have, Brim said. 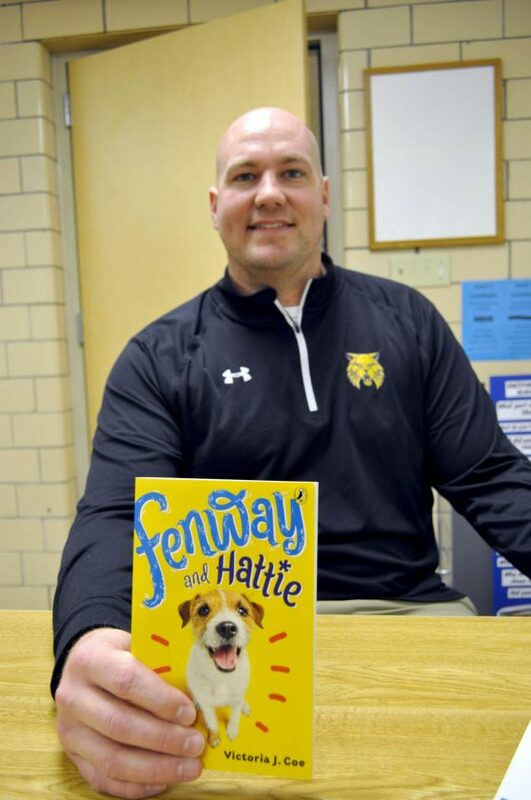 -Daily Freeman Journal photo by Joe Sutter Instructional Coach Andy Brim shows the book the whole school will read together, "Fenway and Hattie." Kids will read the adventures of a dog and his person at home with their parents, and then discuss the book and do activities at school the next day. “Fenway is the dog, and the dog’s owner, the girl is Hattie,” he said. “The entire book is told from the dog’s perspective. In fact, as kids follow the adventures of Fenway and Hattie in the book, they can also watch Fenway’s antics around the Webster City community. “We got a stuffed Fenway doll. And each week there will be clues about where to find him,” Brim said. Fenway the dog peeks from his hiding place recently, to see if any students from Sunset Heights Elementary are coming to find him. 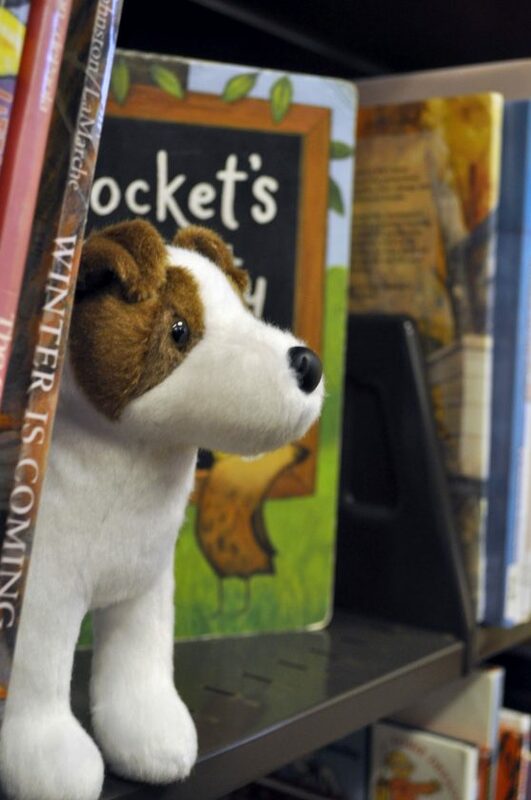 Fenway will be found all over town as students read one book together, giving kids the opportunity to solve clues and take pictures with him. This week, Fenway is at "a place with many stories." Students can read the clues, find the dog and take pictures with him, Brim said. Those photos will be hung up throughout the halls of the school. Where is Fenway this week? “A place with many stories,” Brim said, adding that he hoped children would find him over spring break. Anticipation about the story has been building. He also created a “trailer” video for the book, with the help of a fourth grade assistant, which has been playing in the hallways for the past week or so. That video can be found at tinyurl.com/fenway1book . Brim chose the book out of a list available from the company with help from teachers from all grades. “I think we picked a good book as far as appealing to the ages we have here. 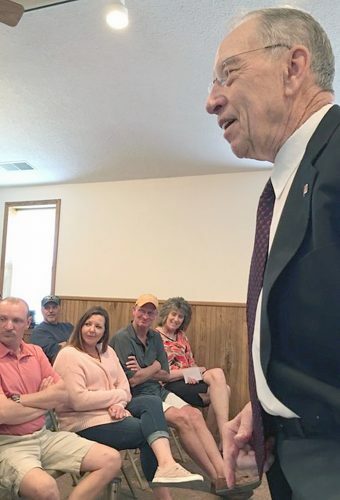 It really is a broad range,” he said. 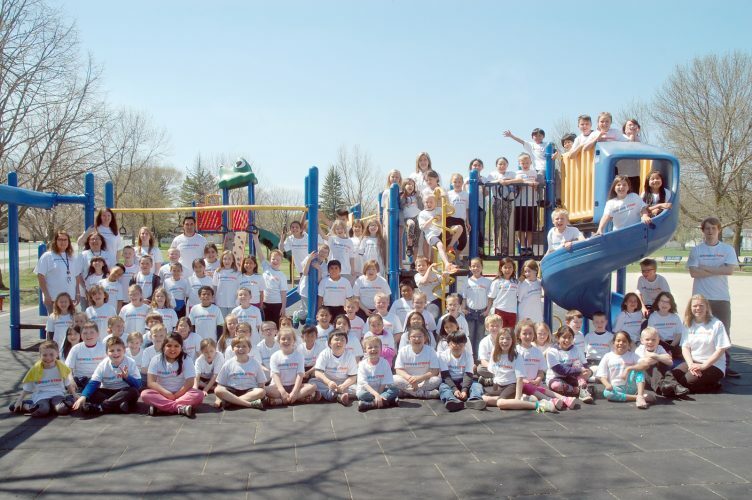 “Second graders are 7 and 8 years old, and there are fourth graders that are 10 years old. This year, all the teachers and staff in the building, including paraeducators and custodians, will read the book, Brim said. Next year it might grow beyond that. The program is offered through a national organization, Readtothem.org.